Catch possums, rabbits and other wild animal pests safely and humanely with our TrapMon® 1090 Easy-Set® collapsible live animal cage trap. TrapMon® live capture traps are monitored 24/7 via smart phone, internet and email. We have TrapMon® traps available that can catch anything from a tiny rat to a cat or small dog. Each TrapMon® trap is equipped with a door sensor and a communication box with battery. The communication box is the heart of the trap and contains a patent-pending wireless transmitter with built-in GPS receiver. The communication box connects the trap with the TrapMon® monitoring center via the cellphone network. When the door closes the trap sends an instant alarm via SMS text and email. All TrapMon® traps are galvanized for long life, maximum resistance to rust, corrosion and wear. Humane trapping: Receive instant alarm and catch notifications via cellphone and email. Convenient online access via Internet to check trap status and location. Trap tracing: Built-in GPS allows easy trap finding, planing and location mapping. Improved catch rates: Fast response times and longer up times. Cost-effective: Improved processes and workflow save time and reduce travel and labour costs. Patented Easy-Set® mechanism allows to set the trap and release trapped animals with one hand. 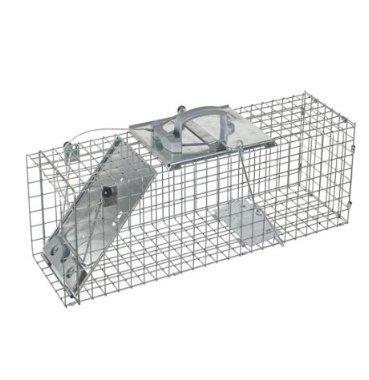 The TrapMon® 1090 live animal cage trap has been designed to provide many years of reliable service. It is made of galvanized wire mesh with steel reinforcements. The trap is collapsible, easy to store and pops up in seconds! Constant trap monitoring via smart phone, email and online web-access. Instant alarm and catch notification via SMS and email. Location tracking and location information via built-in GPS. 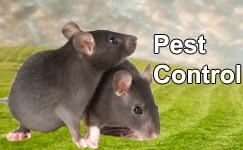 Pest and nuisance animals: Ideal to catch possums, rabbits, stoats, ferrets and other pest animals.